Savings are plentiful when going with the prepaid route as opposed to the typical postpaid options, which is especially seen in the value based plans that carriers offer. However, when it comes to picking up decent prepaid devices, they’re typically attached with some hefty prices – but then again, the savings are felt most in the affordable monthly plans offered to customers. Still, if an unfortunate event occurs with your prepaid device, like accidentally dropping it, you’re pretty much out of luck, right? Fear not T-Mobile prepaid customers! The carrier just announced the availability of a new mobile device protection program for T-Mobile Monthly4G customers. Dubbed as the Monthly4G Handset Protection (MHP), this newly available option provides customers with coverage against accidental damage, water damage, loss, theft, and other malfunctions once the manufacturer’s warranty is long and gone. Therefore, if you picked up one expensive prepaid T-Mobile smartphone, rather than paying an arm and a leg to replace it with another, the $7 per month MHP add-on plan will get you back on your feet with a replacement. Naturally, deductibles are at hand when making a claim – and they vary at $25, $40, $90, or $130 depending on the device. Still, some people will find value in it, especially if they happen to buy a prepaid device that’s over $200. Bear in mind that you’re given a maximum of 2 claims per year and that “intentional and dishonest acts” are not covered under the policy. Well, you’d better check on the fine details before making a definitive decision on adding the new protection plan. Very smart move on T-Mobile's part. Very smart move. It's about time. They've been talking about this and account level insurance for over a year now. Definitely a smart move to have if you have an expensive device on Monthly 4G. 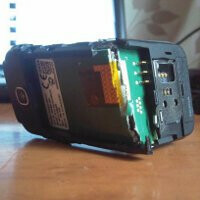 That's the reason I didn't buy my HTC One S at mobile $600.00 phone without insurance isn't smart. Bout time. I went through a third party company to get my insurance for the radar 4g. WARNING: your replacement device will usually be a "Compareable" refurbished device. They use compareable very loosely, a Galaxy Nexus is "compareable" to a Nexus S. If you break your screen on a superphone, you may be better off selling it on ebay. nice to have the option but what a total rip off, buy a 125-200 dollar phone from them. Then pay 84 dollars a year plus the deductible which will probably range from 25-130. Which will most likely be on the higher end for those 4g prepaid phones.